WARDJet is proud to be an American manufacturer of high quality waterjet cutting machines and custom automation solutions, with headquarters in the so-called "Steel Belt" of Northeast Ohio. This summer, WARDJet is excited to watch our hometown hero LeBron James leading the Cleveland Cavaliers basketball team in the NBA Finals. 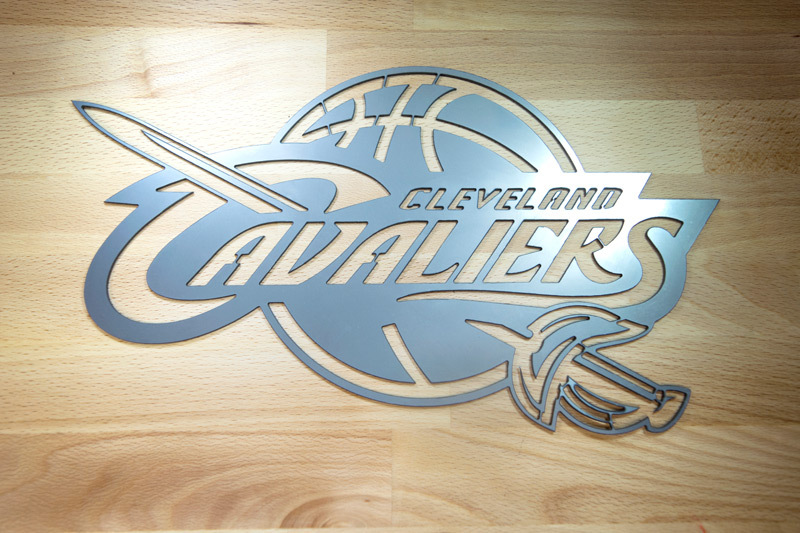 Before cheering on the 'Wine & Gold' tonight during game 6 at Quicken Loans Arena, we decided to use waterjet technology to cut the Cavaliers logo. As a nod to Northeast Ohio's history in the steel industry, we chose to make this logo using 14 gauge stainless steel. • Happy Memorial Day from WARDJet!